In a recent study published in the Journal of Neuroimaging, a team of researchers from the UCLA have reported the first evidence that obstructive sleep apnea contributes to a breakdown of the blood–brain barrier, which plays an important role in protecting brain tissue. The findings are significant for diseases such as Multiple Sclerosis, where compromised blood-brain barrier function is associated with subsequent brain damage caused by the disease. These new insights may contribute to novel strategies for the treatment of obstructive sleep apnea, a condition that affects about 22 million adults in the United States, as well as open up new therapeutic strategies for protecting against the breakdown of the BBB. Obstructive sleep apnea (OSA) subjects show significant brain damage, particularly in sites that control autonomic, cognitive, emotional, and breathing functions, which are deficient in the condition. Symptoms associated with injury to these brain areas are linked to higher morbidity, mortality, and decreased quality of life in the syndrome. However, the underlying pathological processes contributing to damage in these regions are unclear. 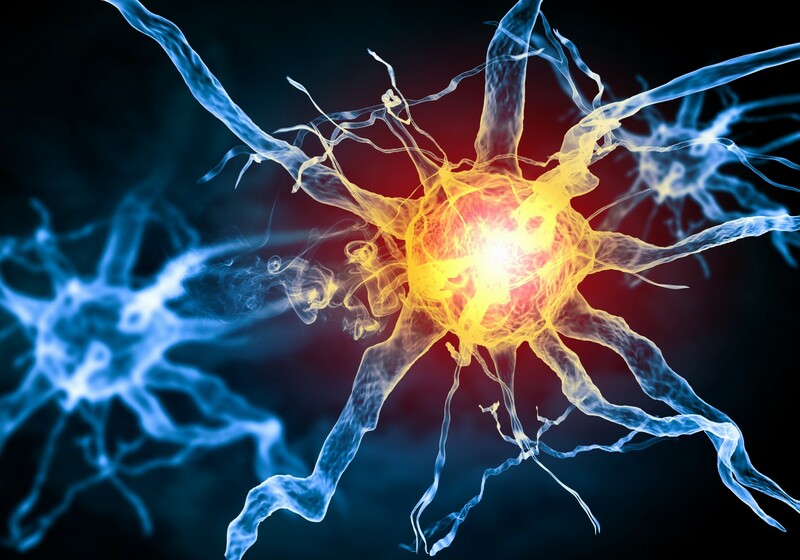 The blood-brain barrier (BBB) is a highly selective permeability barrier that separates the circulating blood from the brain extracellular fluid (BECF) in the central nervous system (CNS). The blood–brain barrier allows the passage of water, some gases, and lipid-soluble molecules by passive diffusion, as well as the selective transport of molecules such as glucose and amino acids that are crucial to neural function. On the other hand, the blood–brain barrier may prevent the entry of lipophilic, potential neurotoxins by way of an active transport mechanism mediated by P-glycoprotein. 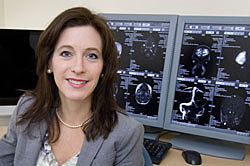 Compromised blood-brain barrier function is a potential mechanism of brain injury, together with the substantial blood pressure, intermittent hypoxia and hypercarbic changes encountered in the syndrome; the altered BBB function may induce or exacerbate injury over time in OSA subjects as well as for other diseases such as MS where compromised BBB is a factor. The brain damage seen in patients with OSA is partly caused by a reduction of oxygen to the body as a consequence of the repeated breathing interruptions. However, clinicians do not fully understand what causes the brain injury and how it progresses. Evidence has shown that a reduction in the exposure to oxygen and high blood pressure affects the BBB, which can trigger or enhance brain tissue injury. Kumar and his colleagues are the first to show that this breakdown occurs in obstructive sleep apnea. In the study, the team of researchers performed DW-pCASL imaging in nine OSA and nine controls on a 3.0-Tesla MRI scanner, a non-invasive technique that uses the brain’s own blood and fluids to measure the breakdown of the blood–brain barrier. Global mean gray and white matter arterial transient time (ATT, an index of large artery integrity), water exchange rate across the BBB (Kw, BBB function), DW-pCASL ratio, and cerebral blood flow (CBF) values were compared between OSA and control subjects. The results showed that global mean gray and white matter ATT and CBF values did not differ significantly, but global gray and white matter Kw values were significantly reduced in OSA over controls. The results mean that in patients with newly diagnosed with OSA and not yet treated, the permeability of the blood–brain barrier was significantly higher than it was in the controls. The findings from this study suggest a need to repair BBB function in OSA, with strategies commonly used in other fields both in conditions with acute (e.g., stroke, traumatic brain injury, cardiac arrest, and multiple sclerosis) and chronic onset (e.g., Alzheimer’s disease, chronic hypo-perfusion, mild cognitive impairment, cortical dysplasia, and autoimmune encephalomyelitis) to protect neural tissue in the syndrome. Tagged blood brain barrier, DW-pCASL imaging, Obstructive sleep apnea. Well what are the treatments already available then?? ?